Move into this single level, light filled, darling gem in highly desirable Happy Valley! Enter into the large, open sun drenched living room with high ceilings, skylights, large picture window. The eat-in kitchen has a peninsula for casual dining and opens up to the dining and family rooms. Everything is central to the front and back yards making this truly the heart of the home. This functional floor plan with hardwood floors throughout allows for easy indoor /outdoor flow from the completely fenced-in front lawn, to the incredible new outdoor patio, built-in outdoor kitchen, fire pit area, play structure and upper level lawn in back. The Master Suite is beautifully remodeled with a large walk-in closet and bathroom that boasts Carerra marble countertops and an oversized shower with two shower heads! 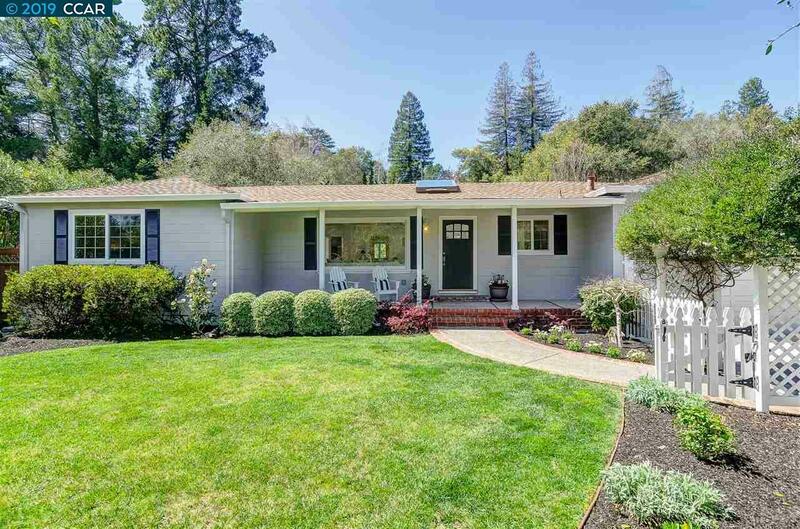 The location is unbeatable, with quick access to Hwy 24, BART, Orinda and Lafayette. All this AND schools K-12 are fabulous! You'll be ultra happy here on Upper Happy! Welcome Home!